Blues Hog Smokey Mountain sauce has a lot going on, it's sweet and tangy with hints of smoke. Smokey mountain is a competition favorite because of it's hickory smoke flavoring. The smoky flavor compliments ribs, briskets, steaks, and anything barbecue. You won't truly understands Smokey Mountains mind-blowing flavors until you try it yourself. One taste and you'll be drowning your BBQ. 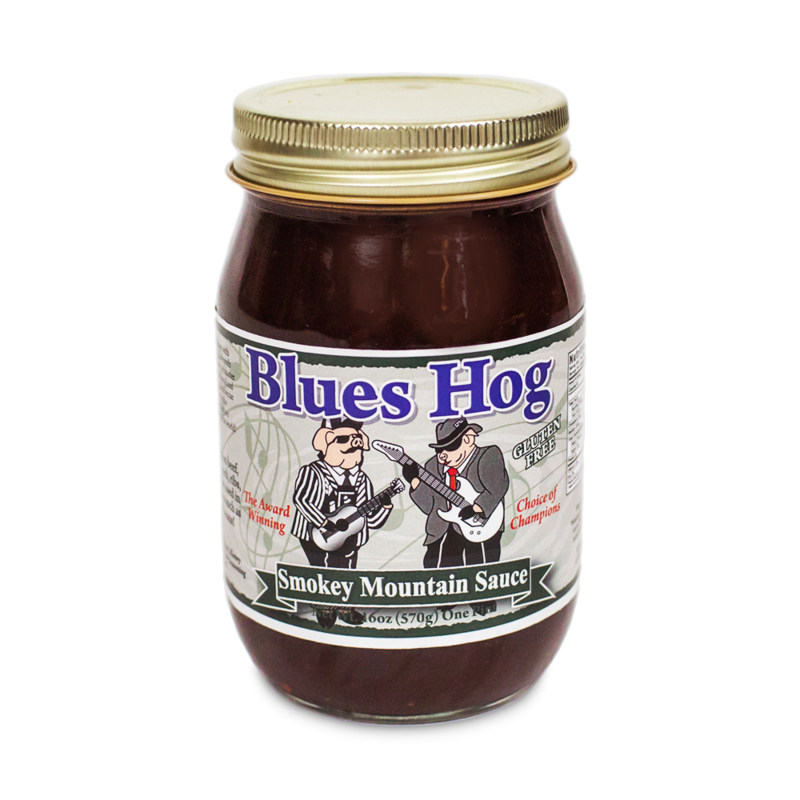 Smokey mountain is great to use as a unique grilling sauce or as a tasty finishing sauce. It's thick and sticks to the food nicely. If you love a hint of smoke in your BBQ, this is the BBQ sauce for you! Pro tip: If you just can't get enough of this smokey goodness try our 1/2 gallon sized BBQ sauce. very smokey sauce that just makes you want more on your BBQ , love it and will order more .